Houston floods: a toxic stew of chemicals, sewage, debris and waste that still floods much of the city. 8/31/1886: The largest earthquake in the history of SE USA erupted near Charleston, South Carolina, leaving more than 100 people dead and hundreds of buildings destroyed. wo explosions and plumes of black smoke were reported at a flooded chemical plant in Crosby, Texas . NWS: Harvey has has now set a preliminary record, surpassing 50 inches for the greatest amount of measured single-storm rainfall for the continental US. Additional rainfall accumulations of 6 to 12 inches are expected to the north and east of Houston from far east Texas into southwestern Louisiana. This is producing devastating flooding. 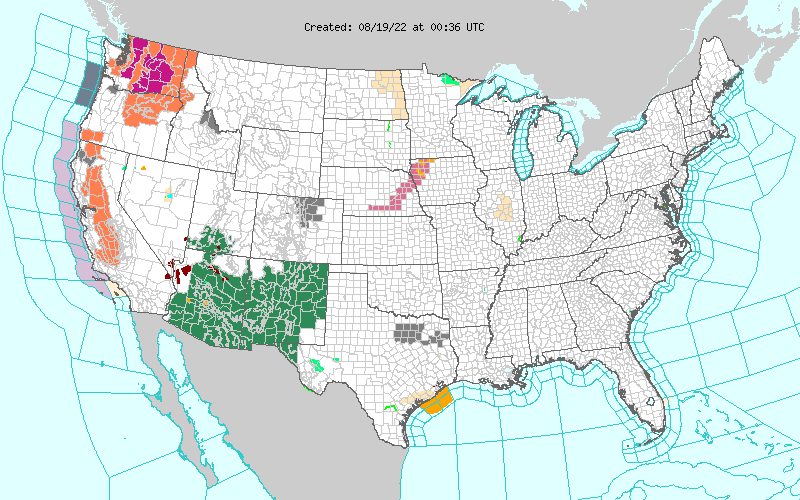 Numerous Flash Flood Warnings are in effect. At least 41 million people in Bangladesh, India and Nepal have been directly affected by flooding and landslides resulting from the monsoon rains, which usually begin in June and last until September. More than 18 000 Rohingya Muslims have fled to Bangladesh in less than a week as they fear reprisals associated with the insurgent attack on 30 police stations.